As we all know Intel dominates the market of producing and supplying processor-chips we use in CPUs. For many a month it’s in vogue that Intel will come up with something new, something beyond what they have made till now. And now that cat has exposed itself. Intel’s power-packed processor codified as Haswell, which will succeed the Ivy Bridge, is now under development but we got some news-bits about it’s potentialities that sound quite interesting. 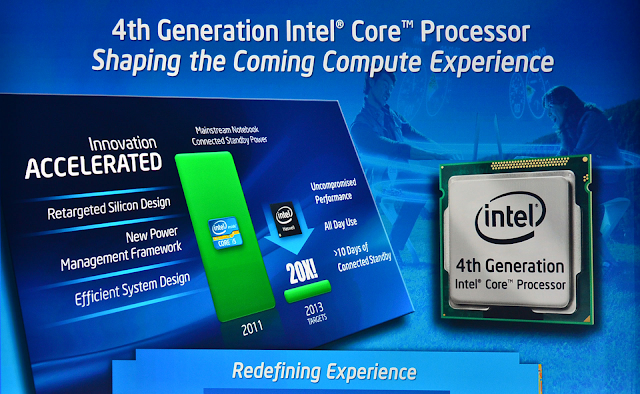 Haswell is mainly designed for forthcoming CPUs that will be used in devices like laptops and hybrid tablets. But desktop users don’t put a long face, for this fourth generation Core Processor is expected to give a power boost to your PC. The micro architecture of Haswell is especially designed to make it a super power-saver and at the same time inducing in it the quality of working extensively. That means this processor will be capable of optimum performance with the additional power saving feature. 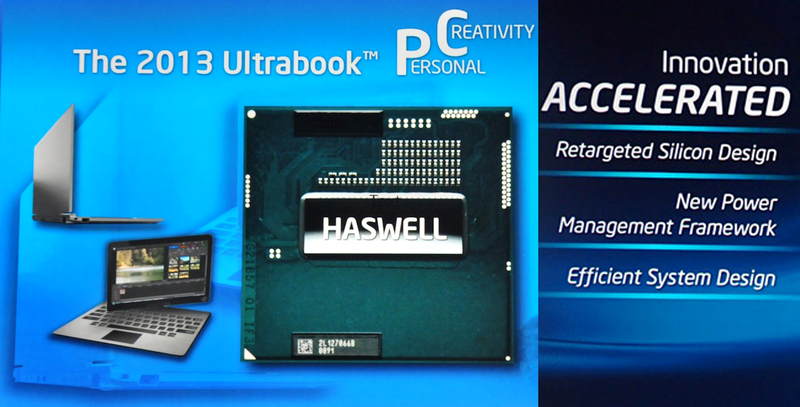 Following it’s power-saving feature it’s not hard to imagine that Haswell will be best for the Ultrabooks. Compared to Ivy Bridge it’s performance is expected to be twice more powerful. Its highly functional graphic processor (having faster QuickSync feature) will be apt for playing high-definition gaming and video playback reducing the need for separate graphic cards as said by General Manager of the PC Client Group of Intel. With Haswell chip, images will be displayed on your laptop at a resolution of 3840 *2160 pixels four times better than traditional 1080p videos. Intel’s forthcoming chipset, a “tock” (meaning building of a new architecture) in Intel’s “tick-tock” release cycle, is claiming to bring 13 hours of battery life with 10 hours for devices such as ultrabooks. Well, it’s a big promise they are making, but if it transfers into reality it will be a huge advance they’re making. Haswell chips will serve desktops, laptops and modern ultrabooks. For workaholics this advanced chip with increased battery life and performance ability will surely bring a bright day and PC market is hoping that the arrival of Haswell will turn out to be a lucky stroke increasing the sale which Microsoft’s windows 8 failed to bring as expected. 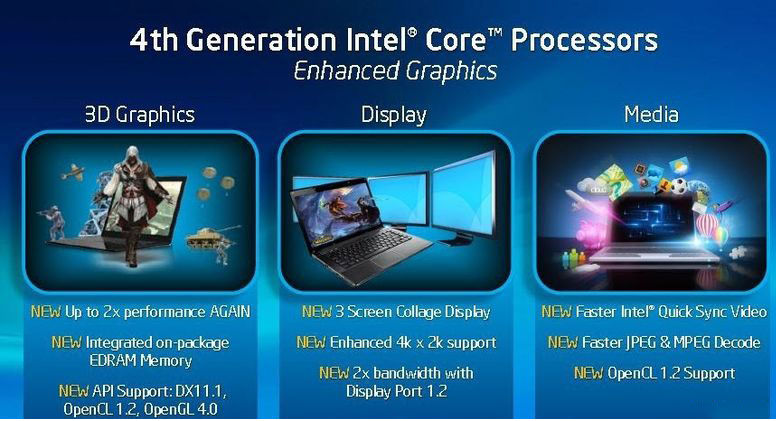 Intel is expected to announce the entry of the fourth generation Core processor and release CPUs on 3rd June or may be 4th June, 2013 at the Computex Trade Show in Taipei (will be held between June 4 and June 8). Laptops, Desktops and Tablets running on Haswell will be exhibited in this show giving it’s performance a promotional boost. And good news for you is Intel expects the presence of Haswell-computers in the selling market during the middle of this year. So, If you have a plan for a new PC you may wait for this wonder-child of Intel. The speculation going among online vendors reveals that the price may be something between $197 for the Core i5 4430 and $368 for the Core i7 4770k. 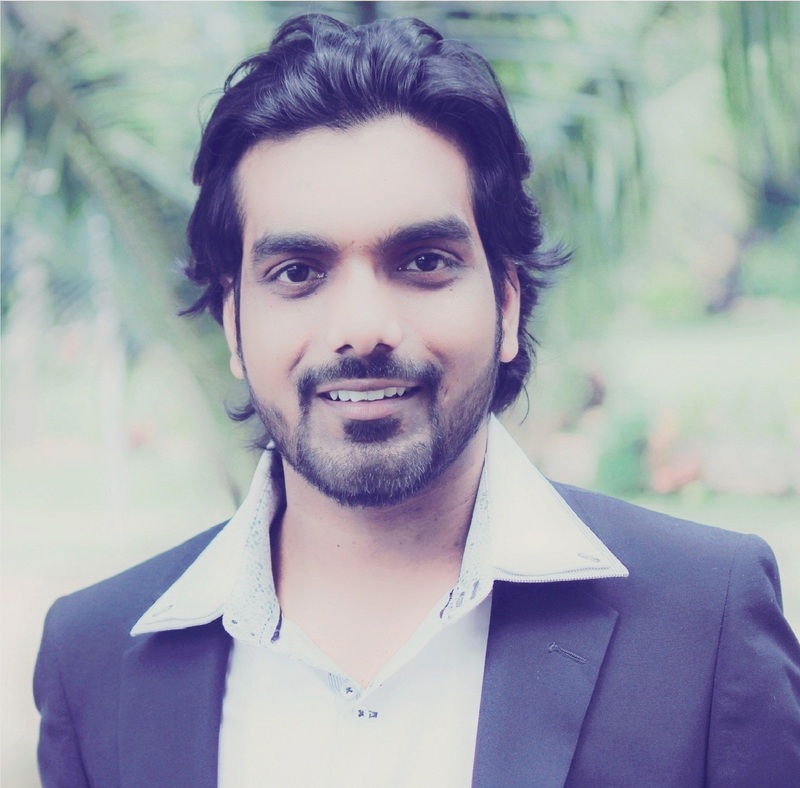 But when the chip enters in the selling market their assumption may prove wrong.